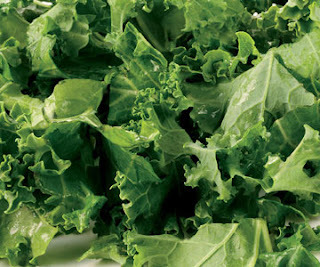 When I was very little, I remember my grandmother making the best kale soup. It should have been very clear that I would be a foodie as an adult when I was happily eating kale at age 4. And I have such a clear memory of the taste of this soup... but for the life of me I can neither reproduce it, nor can I get the recipe from my mother. 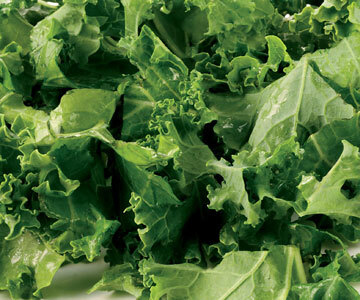 At any rate, being constantly surrounded by kale here in northern California, there's almost nothing I won't put it in. It's completely made of good for you, it's tasty, it holds up to soups and stews, it has so much Vitamin A it can actually significantly help people with lung diseases. Thanks to the inexplicable absence of THE kale soup recipe, I've found myself making every kind of kale soup known to man in the hopes that one day, I'll stumble upon the hidden recipe. Here's one that's not even close to the original, but still super-uber-nom-nom (by the power vested in me by my English degree, I hereby make that an official English saying). Croutons or bread for serving. If you have raw Chorizo, par boil it in about an inch of chicken broth in the bottom of your soup pot for 10 minutes. Remove the chorizo and slice. Remove the chicken broth you used to par boil the sausage and reserve. If you have purchased fully cooked chorizo, aren't you special. Slice it. Add about a tablespoon of olive oil to the bottom of a soup pot set on medium high heat and brown the chorizo until it begins to caramelize. Add the onion, carrots, garlic and celery to the pot and cook, stirring frequently for about 6 minutes. Add the chicken broth, including the broth that you reserved from all that sausage cooking. Add the bay leaves, oregano, potatoes and kale. Bring to a quick boil, then drop the soup to a simmer and let cook until the potatoes are done - about 10 minutes depending on the tubers you used. You can use it a lot like a longer cooking spinach. I love the flavor and that it holds up to a lot of cooking and abuse. I love to saute it as well in a little olive oil, garlic and red pepper flakes. That's one of my favorite things ever.